Tracy is in every aspect of the job a professional. She has a great depth of knowledge concerning the area and recommendations for local trades people. Tracy has ensured that at every step of the way from initial showing to our purchasing the property we were at ease with the process and made to feel welcome. Not only is she a professional but she is genuinely warm and friendly. 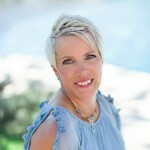 I would not hesitate to recommend her to friends looking to purchase property in the South Okanagan and already have.